Sweetwater Organic Coffee is located in sunny Gainesville, Florida....home of the Florida Gators and numerous avenues for adventure! Every morning we gather at our intergalactic headquarters on South Main Street with one primary goal in mind - to roast our trading partners coffee to absolute perfection! We are a member of the Fair Trade Federation, the association of North American retailers and importers who are fully committed to fair trade and strive to only sell items sourced according to fair trade principles. 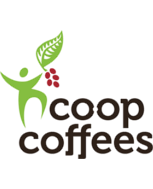 We are also an active member of Cooperative Coffees, a Fair Trade organic green coffee purchasing collective, which is based in Americus, GA. Together with 23 other roasters from the frosty Yukon down to sunny Gainesville, Sweetwater works directly with small-scale coffee farmer cooperatives to bring some of the world’s best, fairly traded coffee available to coffee-loving consumers here in the USA. Sweetwater is committed to delivering the message of sustainability by roasting truly extraordinary coffee that does justice to our hard-working trading partners and Mother Nature… from crop to cup.